Chinese director Jia Zhangke, one of the greatest voices in twenty-first-century cinema, joins us February 10 in conjunction with BAMPFA's series devoted to his films, Rhythms from Life. Called “the moving picture poet of the Chinese ‘economic miracle’” (Amy Taubin, Artforum), Jia will appear in person on Sunday evening, February 10, for the showing of his most recent work, 2018’s Ash Is Purest White. The director's brief visit to the Bay Area—organized in cooperation with the San Franscisco Museum of Modern Art (SFMOMA)’s presentation of Jia’s films alongside their sweeping exhibition Art and China After 1989: Theater of the World—offers audiences a rare chance to hear from “one of the few filmmakers of any nationality who weighs the impact of social and political shifts on people” (Manohla Dargis, New York Times). Note: a previously announced in-person appearance by Jia on February 8 has been canceled. The two films that Jia will present in person at BAMPFA serve as intriguing entry points to his work. A portrait of disaffected youth stuck in one of China’s many backwaters, 2002’s Unknown Pleasures was named one of the top two films of the year by the New York Times' J. Hoberman and called “as true a picture of contemporary existence as we could hope for now” by Kent Jones in Film Comment. “Like Godard in the sixties and Altman in the seventies, Jia gets all of us in general, and youth in particular,” Jones wrote. Jia’s latest, Ash Is Purest White, sees the director, once acclaimed for his realism and “slow cinema” aesthetic, turn toward the Hong Kong gangster film for inspiration, following a woman who, saddled with a mobster lover, becomes—over the course of a generation—a force all her own. In preparation for Jia’s visit, the BAMPFA Film Library and Study Center offers viewers the opportunity to peruse pages from the rarely seen international press kits for Jia’s Xiao Wu and Unknown Pleasures, distributed during their first festival screenings and releases, as well as selections from the latest press kit for Ash Is Purest White, featuring illuminating commentary from Jia himself. Documents are drawn from the Film Library and Study Center's collection of press kits and film ephemera, with thanks to the distributors Hu Tong Communications, Celluloid Dreams, and mk2 Films. Jia Zhangke: Rhythms from Life is an SFMOMA–BAMPFA copresentation with promotional assistance from SFFILM. At BAMPFA, the series is part of the program Afterimage: Filmmakers and Critics in Conversation and will screen February 6 through 17. At SFMOMA, the series will take place February 8 through 24 and represents the eighth installment of the museum’s Modern Cinema program. 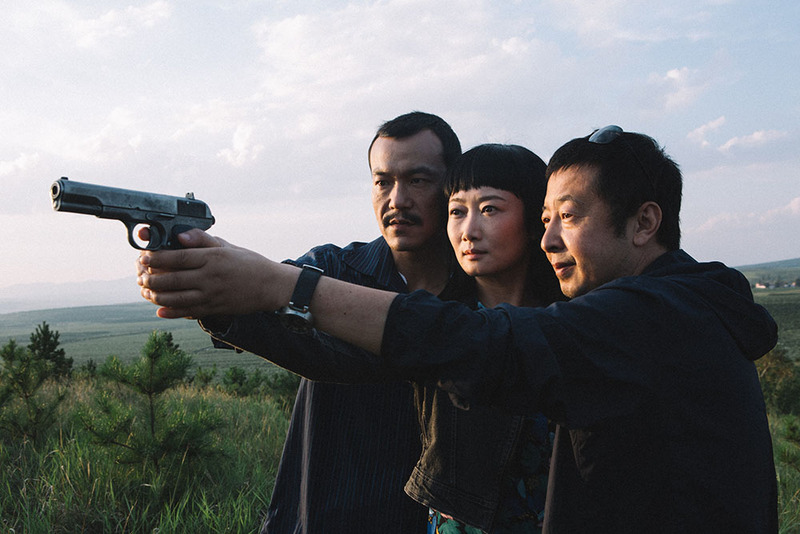 In addition to his two appearances at BAMPFA, Jia Zhangke will be in person at SFMOMA February 10. Stories and updates on what's happening at BAMPFA.